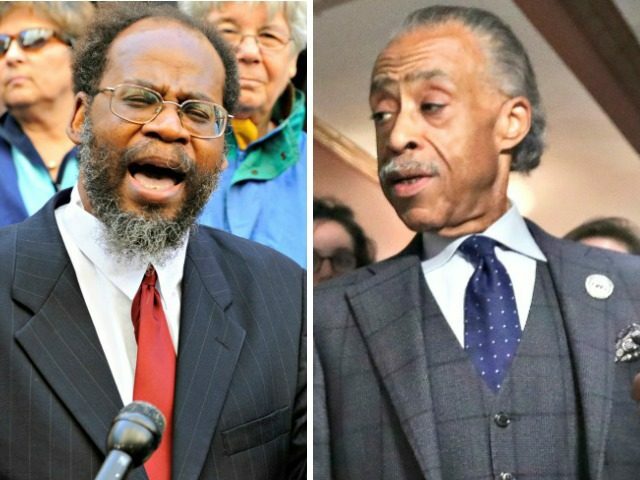 LAURA INGRAHAM: The 2020 fanatics have renewed their calls for reparations while kissing the ring of Reverend Al at the National Action Network convention this week […] Now Michael, you say this is all a scam. Explain. MICHAEL MEYERS: Of course it is. It’s more of that blame whitey movement, mania, madness. And it’s sheer racial rhetoric, and that’s what you get at the Al Sharpton so-called “house of justice.” You have buffoonery, and you have diversion, you have distraction. You have this notion of farce. So, at that house of so-called justice, you have either a horror picture show showing, or you have a farce. Either way, it is not to be taken seriously. I can’t understand how serious presidential contenders can give legitimacy to a racial blowhard. And I think it is outrageous and silly and idiocy on the part of the presidential candidates. And anybody who thinks that white Americans are going to take the blame or going to feel guilty or give their land and their property away in some sort of reparations pot, because they feel responsibility for the sins of their forebears. They’re not.